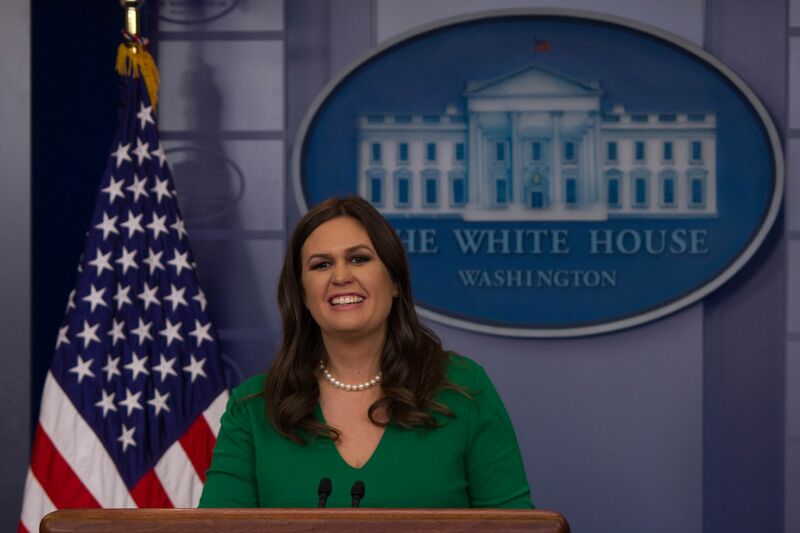 The Big Bang Theory on CBS took a gratuitous swipe at White House Press Secretary Sarah Huckabee Sanders in a vanity card at the end of the February 7 episode, entitled "The Donation Oscillation." God told me he hasn't spoken to Sarah Sanders since she was fourteen years old and praying for her skin to clear up. I have no reason to doubt Him. Of course it is personal and ugly--and not remotely witty. Vanity cards after other episodes of The Big Bank Theory, created by Chuck Lorre, have taken potshots at President Trump, though without mentioning him by name. It’s also been established that it’s sexist and wrong to go after women for their looks. Or is it only liberal women that this applies to? The political animosity of the entertainment establishment is making is difficult for many Americans to watch TV.